NBA: Who Will Be The Next Great Lakers Superstar? It seems like the Lakers have always had a superstar. From George Mikan to Elgin Baylor to Jerry West to Wilt Chamberlain to Kareem Abdul-Jabbar to James Worthy to Magic Johnson to James Worthy to Shaquille O’Neal to Kobe Bryant, the fans in Los Angeles have been spoiled by watching some of the greatest players in professional basketball history night in and night out. (That also has a lot to do with why L.A. has qualified for the playoffs 60 times in 66 seasons.) The problem for Lakers fans right now, in the twilight of Kobe’s legendary career, is that the next great star to wear purple and gold is not clearly on the horizon. Once upon a time, Chris Paul was practically on his way to join Kobe in L.A. Then he wasn’t. Not so long ago, Dwight Howard was going to be the man in Hollywood for the long term. Then he wasn’t. This summer, LeBron James or Carmelo Anthony were big-name targets in free agency, with at least one of them likely to buy into the glitz and glamour of playing for Jack Nicholson’s the Buss family’s team and move west. Then they didn’t. And that brings us to today. The Lakers are off to a historically bad start to the season, dependent on an aging Kobe to carry them night in and night out, and not sure where the next great chapter in a storied history is going to come from. Who will be the next great Lakers superstar? 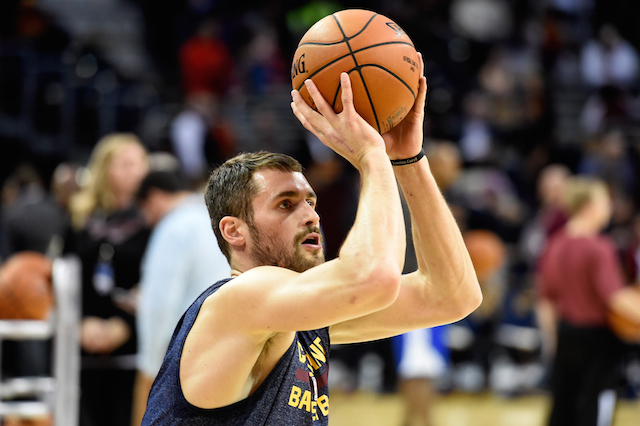 Yes, Kevin Love will be able to opt out of his Cavs contract after a single season in Cleveland. But will the palm trees and warm weather of sunny Cali be enough to pry him away from an up-and-coming dynasty alongside LeBron James and Kyrie Irving? Remember, all the money in the world can’t buy you an NBA championship. Sorry, Lakers fans, but we’re not holding our breath on the Love report…especially in November. It’s possible that the next great Lakers star could be a dominant guard. Free agent Rajon Rondo (pictured) and Oklahoma City’s Russell Westbrook have both had their names mentioned in connection to L.A. on multiple occasions. However, neither of those players has shown the ability to singlehandedly carry their current franchise to greatness, so it’s hard to see either one as the post-Kobe Lakers savior. GM Mitch Kupchak owns plenty of cap space going into the summer of 2015, and there will be other targets available, especially of the post variety: LaMarcus Aldridge, Marc Gasol (brother of two-time L.A. champion Pau), and Greg Monroe are among the potential possibilities. In fact, it’s safe to say that if the Kevin Love dream doesn’t play out, trying to land one of these talented but not-yet-All-World big men might be Kupchak’s best (only?) move going forward. The best player Los Angeles could possibly acquire over the next few years is reigning MVP Kevin Durant, who will be a free agent in 2016. Every team with room to sign Durant would surely love to get him, and given L.A.’s less-than-stellar track record in the last couple of years reeling in the biggest fish, we’d advise the purple and gold not to put all their eggs in that basket either. 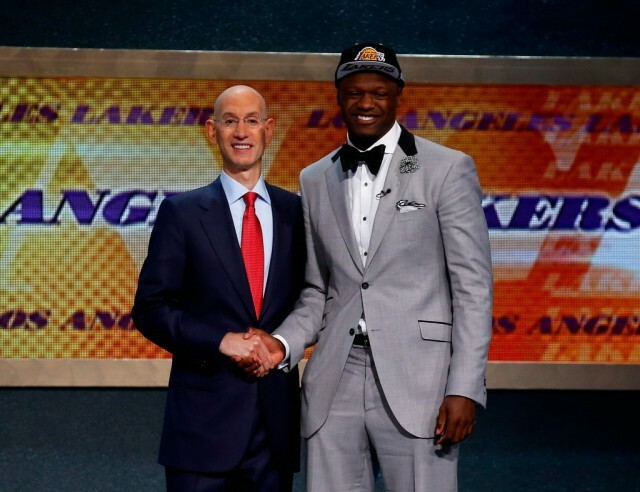 Don’t completely rule out the possibility that 2014 first-round pick Julius Randle (pictured) could become the face of the Lakers franchise for the next decade. That was certainly Kupchak’s hope when he took Randle No. 7 overall in June. But with the Kentucky product out for the year due to a broken leg, Lakers fans will likely have to wait until the start of the regular season to see how the talented prospect fares at the highest level. It’s tough to assume Randle can be a superstar before he’s played a complete NBA game (and especially if he turns out to be injury-prone at all, a legitimate fear after this latest setback). There’s one possibility we haven’t considered yet, and it’s a downright scary one for Lakers supporters: What if the next great superstar is…no one? What if Randle doesn’t pan out? What if Love re-ups in Cleveland to stay part of the Big 3? What if Oklahoma City comes up with enough money for Westbrook? 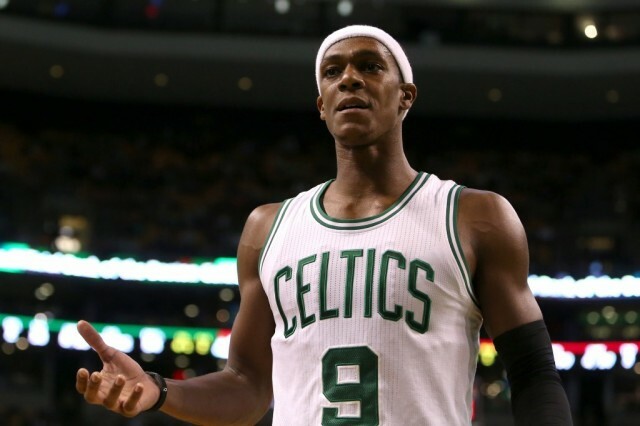 What if Rondo doesn’t want to play in Kobe’s shadow? What if Aldridge stays in Portland? What if Durant picks a different major market? What if Nick Young is the best player on this team in two years? The good news for L.A. is that there appear to be options. The bad news is that there are no certain/likely/slam-dunk moves that will once again make the Lakers a title contender instead of a lottery team. And, for Lakers fans who are used to a “championship or bust” mentality, the future will look overwhelmingly grim until Los Angeles unveils its next superstar. On the bright side, L.A. always seems to find one. On the not-so-bright side, there’s no guarantee they will this time. That’s why Kevin Love talk is making the national rounds even though Love is still in his first month as a Cavalier and can’t become a free agent until July. Lakers fans are desperate for any sort of good news, any potential hope down the road of not enduring another losing stretch like the current one. The real dilemma, though, is trying to figure out what may actually happen, and what’s merely a mirage. “All you need is Love?” Stay tuned.